Whether you're looking to practice your Spanish or you would like to chat online in your native tongue, free, Spanish-language chat rooms can be a lot of fun. Sometimes to find good ones you have to be a little creative; however, solid communities of hispanohablantes do exist online. Chatting online is a great way to work on your Spanish skills. These types of chat rooms are full of people who are learning, but also full of native speakers that want to learn English. It is a great place to learn idiomatic expressions without the fear of making a complete fool of yourself or to pick up colloquial vocabulary. Questions are welcome and the atmosphere is very friendly and open-minded. As the name implies, Espanglish chat is for English-speakers looking to hone Spanish skills and Spanish-speakers looking to hone English skills. People who are very familiar with the online chat scene will likely find this chat room to be somewhat primitive in appearance. It's not moderated at all, but it is easy to 'ignore' someone who you don't want to talk to. Generally speaking, what you'll find here are people who are wanting to practice their language skills. Because of the bilingual nature (you'll find everything in both English and Spanish), it's not the ideal 'immersion experience.' However, if you're looking for a place to meet a few friends with whom you can practice and you don't care about frills, this is an ideal little corner of the web. Be a foreign exchange student without ever leaving your living room. My Language Exchange is dedicated to pairing language partners. It definitely has a very international feel, so this is an ideal place for those who are not necessarily fluent in English but are looking to learn Spanish. One nice feature of this site is an advanced search that lets you find someone based on the language(s) in which they are fluent, as well as people who are wanting to learn your language. Other search features include age, nationality and gender. These chat rooms are for either those who are native speakers or those who are advanced, fluent speakers. They are similar to what you'll find on any other chat room in English, the only difference being that the conversations are in Spanish. Do not assume it is okay to ask lots of language or culture questions here - those types of things are better suited to one of the chat rooms geared towards learning. However, if you want to chat away en Español about politicis, society and everything in between, these chat rooms offer great options. ICQ is a free chat environment with the motto of 'everybody, everywhere.' Staying true to the motto, icq offers chat rooms for a wide variety of topics in several languages. Adding to the features of this social chat site, you can link icq to your Facebook or Twitter account. Although a good chunk of the site is in English, if you go to the 'languages' section on the left-hand side, you'll find Spanish as one of the options. 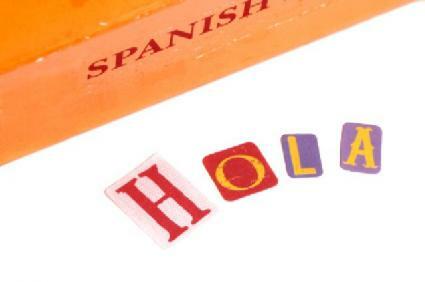 The Spanish chatroom is a catch-all for those who want to chat in Spanish so within reason, any topic goes. Amigos is an online chat site that caters to those who are looking for love and romance. However, the community is for Latinos, with chat rooms for subjects as well as specific countries. Nestled in this Latino community is the Spanish room that is exclusively for fluent Spanish speakers. What may appeal to many though, is that if you are looking for love within your own Latino community - this is the place to go. El Chat is completely in Spanish and is organized by country. In addition to the chats by country, you'll find rooms for Spanish speaking senior citizens and youth, as well as those looking for love. The rooms are very well organized and there are lots of features to this site. You do have to register to chat, but registration is free. The online Latino and hispanohablante community is alive and thriving. Whether you're looking to meet friends or looking for an online romance, there is a spot for you online. If you are a non-native speaker, be prepared to ask about slang terms and certain acronyms. Make sure to turn on your international keyboard or use alt codes to type accents and most of all, have fun!